Alan Hellawell has been intimately involved in the Asian internet and e-commerce space since 1995. He has served in a variety of leadership positions, both within industry in operational positions, and as the head of TMT research in investment banking. 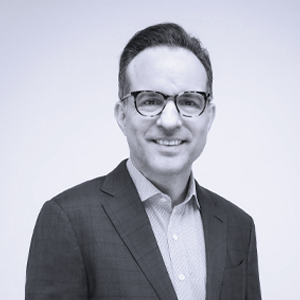 Alan most recently served as Sea’s (NYSE: SE) Group Chief Strategy Officer, based in Singapore; with responsibilities for key partnerships, in-bound and outbound investment and M&A, investor relations and other areas. Alan has worked regularly with management across other leading global platforms such as Alibaba, Tencent, Google, Facebook, Amazon and Paypal; in addition to the region’s leading PE, VC and investment banking firms. Alan prior to this managed Deutsche Bank’s Asia TMT research group for 11 years based in Hong Kong. Alan supported many of China’s largest internet companies from their early, private stages through IPO and beyond. He maintains long running “CxO-level” relationships with dozens of leading names in the space. Prior to his role at Deutsche Bank, Alan held positions at Lehman Brothers, Lucent Technologies and Netscape Communications. Alan currently mentors a number of Southeast Asian internet start-up’s. Alan graduated from Stanford University with a Masters in Business Administration and Masters in East Asian Studies. Alan also holds a Bachelor of Arts in History from Princeton University.